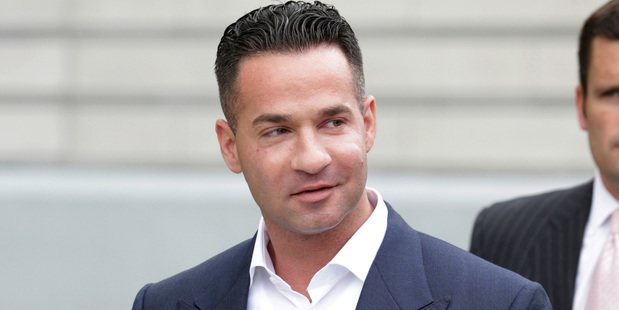 He's known to most for his partying antics on reality TV show Jersey Shore, but Mike "The Situation" Sorrentino is known to law enforcement for a whole different reason, reports the NZ Herald. The reality star and his brother just got hit with a superseding indictment alleging tax evasion, financial structuring and falsifying records, according to Deadline. Sorrentino was already facing major tax issues including fraud charges from 2014. He will be arraigned on April 17 and if all the claims pan out they could see him put behind bars for 15 years or longer. According to Deadline, the indictment claims Sorrentino "conspired to defraud the United States by not paying all federal income tax owed on some [US]$8.9 million that Michael earned between 2010 and 2012." "Michael faces a statutory maximum sentence of 10 years in prison for each structuring count and five years in prison for the tax evasion count," the feds added. "Marc faces a statutory maximum sentence of 20 years in prison for obstruction. They also face a period of supervised release, restitution and monetary penalties." Jersey Shore aired from 2009 to 2012 for six seasons on MTV. This article originally appeared at nzherald.co.nz and is republished here with permission. NZ Police made their Long Weekend Group Toot debut!